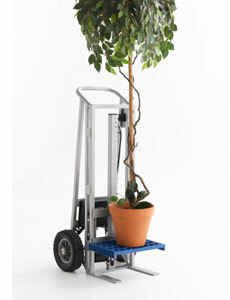 Lightweight Battery Powered Lifting Device. Australian designed & made. Patent Pending. 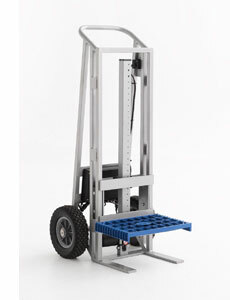 Ideal for the office, factory or warehouse. 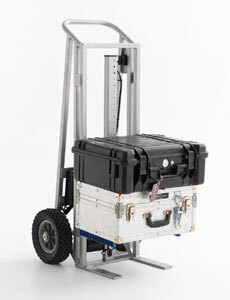 Great for loading from vans, utes & trucks. 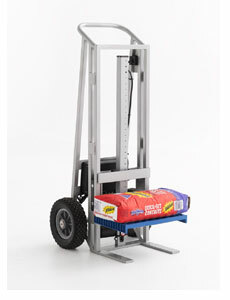 Lift height:- 8mm to 740mm. Toe plate:- 350mm X 240mm. Weight:- 13.5kgs. Wheels:- 2 x 10" / Gel Filled Tyres. Lifetime warranty on the frame. Battery electric with built in charger.Automatic electric overload protection system ensures safety. 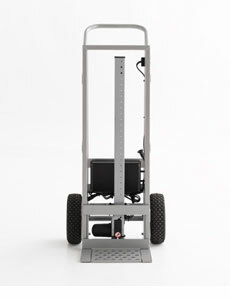 Quiet smooth operation & easy push button height adjustment. Conforms with Electromagnetic Compatible Standards as required under the Radiocommunications Act. 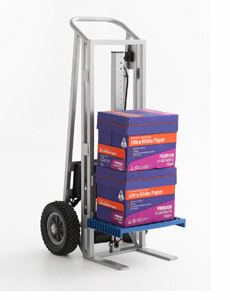 Perfect for transporting & positioning loads quickly & easily. 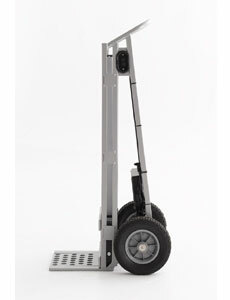 Highly manoeuvrable, lightweight & portable.Unique forklift style toe plate for use with the mini pallet. OPTIONS :- Solid & larger toe plate. Ratchet strap. Solid wheels.